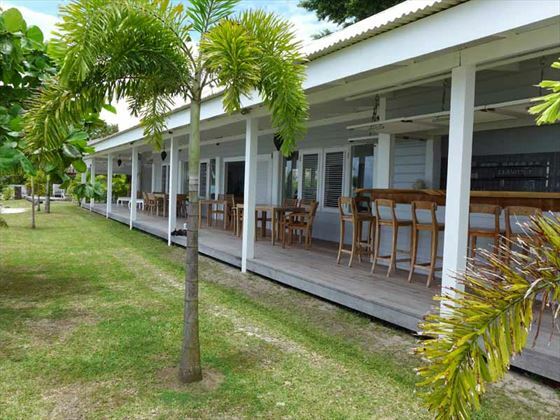 There are twelve beautiful white-washed bungalows dotted around the main house, each decorated with handcrafted wooden furnishings and modern rustic décor. 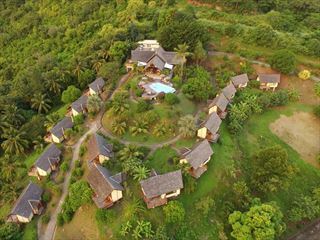 Some bungalows feature gorgeous garden surroundings whilst others offer breath-taking sea views; all accommodation is equipped with a plush queen or king-size bed, furnished balcony or terrace, complimentary Wi-Fi and a selection of comforting amenities. A home-cooked breakfast is served in the main lodge set by the lagoon, and you’ll have access to a professional kitchen throughout your stay to cook your own meals. Though the lodge is perfectly secluded from the outside world, there’s a charming nearby village bustling with restaurants and shops just a few minutes from the lodge property. The warm and friendly owners will ensure your happiness and comfort is always catered to, whether you’d like to enjoy a romantic candlelit dinner on the beach, or a guided hike on a private island, your needs are their priority. The outdoor activities and wonderful array of amenities are plentiful, and the lodge provides all guests with complimentary kayaks and bikes to explore the stunning surrounding scenery. 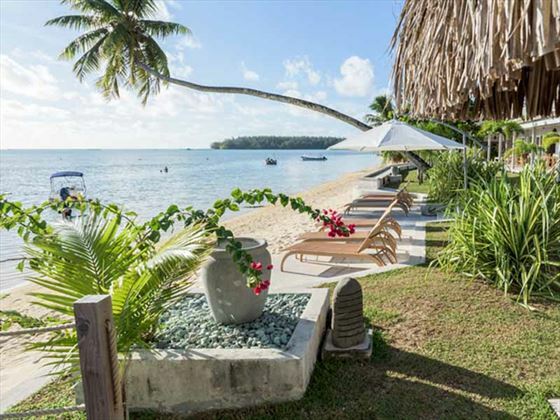 Scuba diving, whale and dolphin watching, snorkelling and ray feeding can also be arranged, whilst the glorious private beach is an idyllic spot to soak up the sun and unwind on a plush lounger. 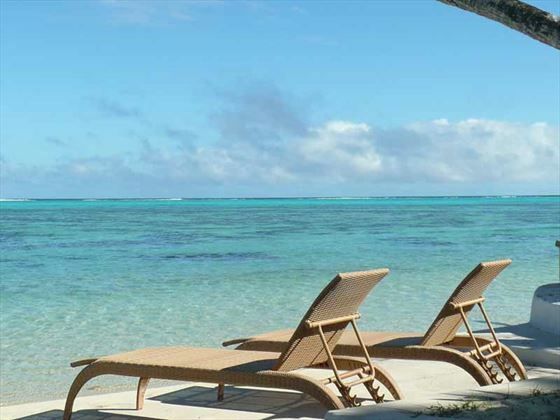 Set on the beautiful Moorea Island in French Polynesia, the lodge is located on the west coast of the island with a pristine beach on one side and a lush tropical garden on the other. The nearby village is a lovely spot to explore a selection of boutique shops and charming restaurants. The unique landscape of Moorea makes it one of the best islands for adventure and activity, both on land and in the water. 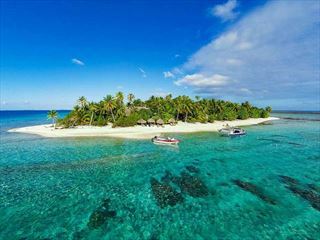 It’s a fantastic destination for romantic couples and families too, with popular excursions including snorkelling, ray feeding, jet skiing and motu picnics. Between August and October, we recommend taking a whale watching tour to spot these incredible creatures in their natural habitat, or the Moorea Dolphin Centre is the only natural refuge where you can swim and play with dolphins. For those seeking adrenaline, a helmet dive or skydiving excursion offers unforgettable panoramic vistas of the island. From Tahiti, you can travel to Moorea Island by air or boat with local ferries crossing regularly, taking around 30 to 50 minutes. Once you arrive at Moorea Airport or the Vaiare Dock, shuttles and taxis are available, taking around 45 minutes to get to the lodge. Nestled amid the resort’s manicured gardens, these cosy and serene rooms feature 25sqm of modern, airy living space and beautiful views of luscious island flora and fauna. Featuring a similar layout and design to the previous category, these beautiful bungalows span over 25sqm of contemporary, sun-kissed living space with stunning vistas of the silky beachfront and azure sea. 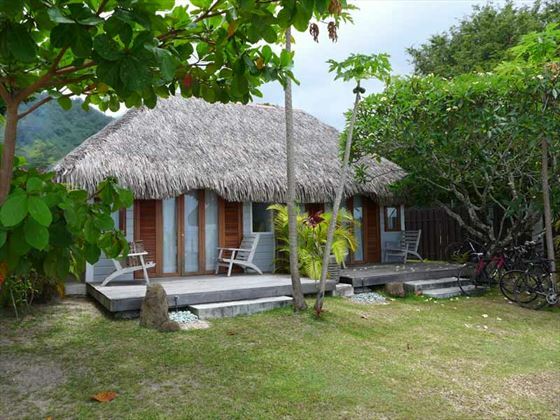 Set beside a stunning horizon of shimmering blue sea, these gorgeous 20sqm bungalows offer an utterly serene ambience with the soothing sounds of waves lapping against the shore. 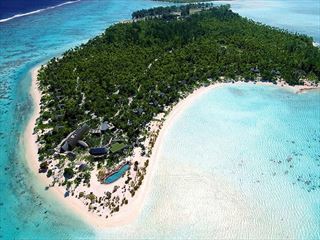 Spanning over 80sqm of sumptuously-designed living space, these bungalows feel like a home away from home, the only difference being the stunning island surroundings of tropical palms and powder-white sand beach. An ideal choice for families or larger groups, the rooms offer two beds with plenty of private living space. With an extensive list of drinks and sublime views, this is a wonderful spot to sit back and enjoy the scenery with your favourite beverage in hand. You can enjoy a delicious breakfast at the lodge with pastries, baguettes, fresh juice, coffee and more, served in the lounge and dining area (additional cost). There isn’t a restaurant on site, but the resort has lots of grocery deliveries and a shared kitchen, so you can cook up fresh, delicious meals inspired by your natural surroundings. This is also a great way to meet other guests staying at the resort, and you could even enjoy a fun night socialising over your home-made creations. If you don’t fancy cooking, there are lots of restaurants and shops within close walking distance of the lodge.